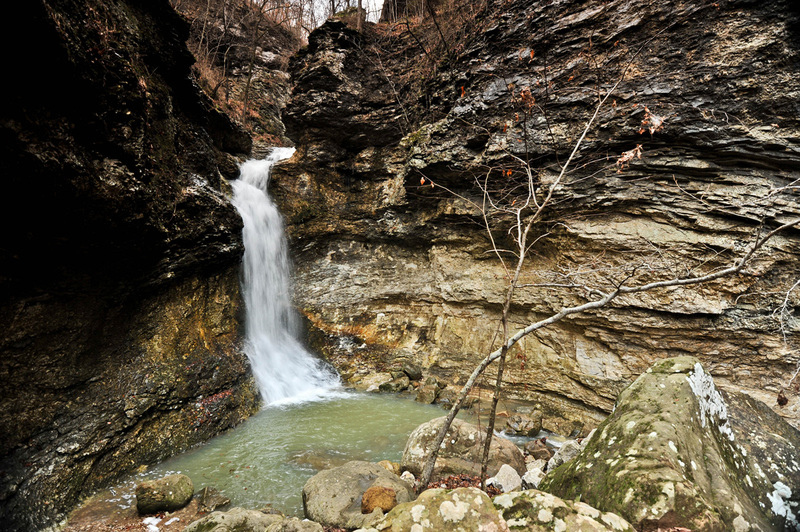 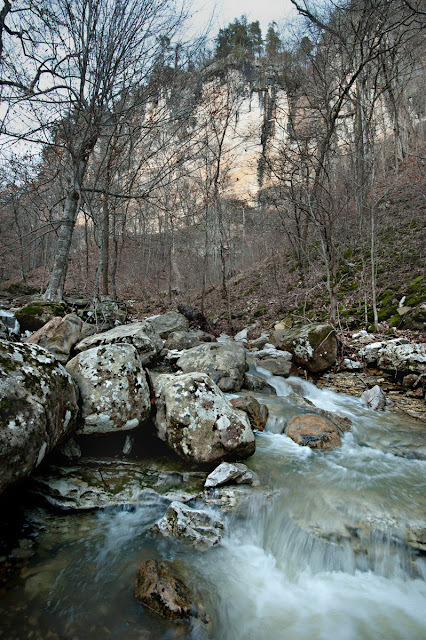 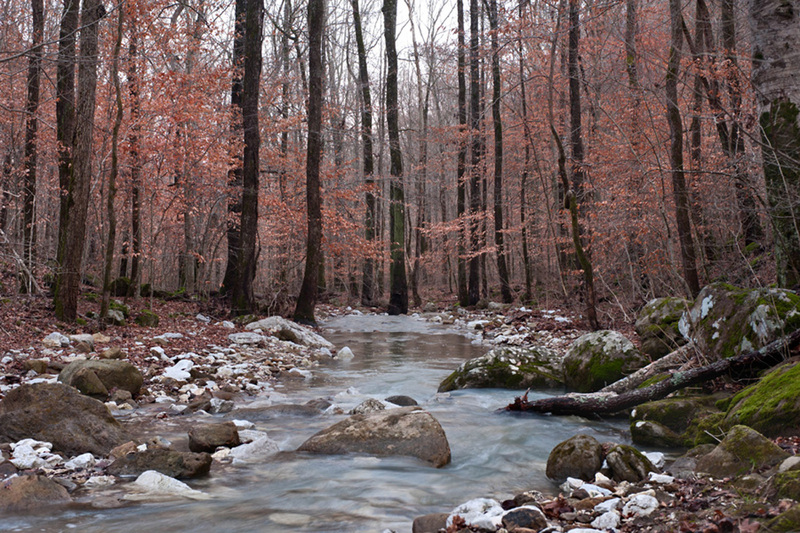 A heavy mid-winter rainfall filled the streams and rivers in north Arkansas a few days ago. 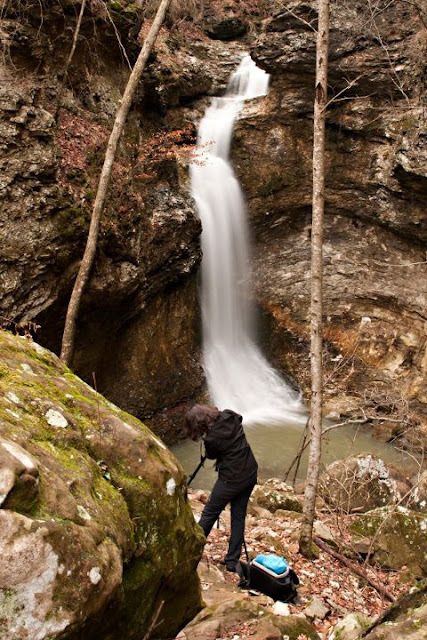 With that came an opportunity to get out and capture some waterfall beauty with my camera. 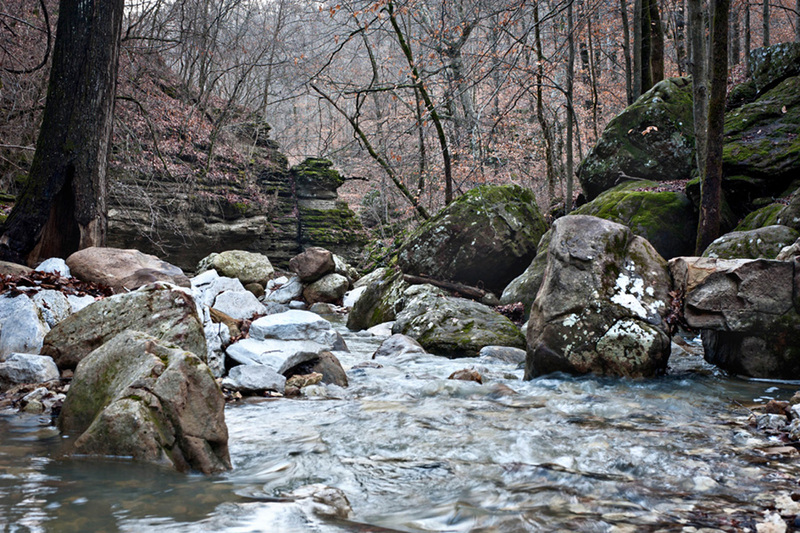 Photo buddy, Rhonda Mills and I took an afternoon hike up a nearby canyon called Lost Valley. We were zeroed in on photographing lovely Eden Falls at the end of the trail, but found ourselves intrigued by the little hidden gems of Clark Creek along the way.